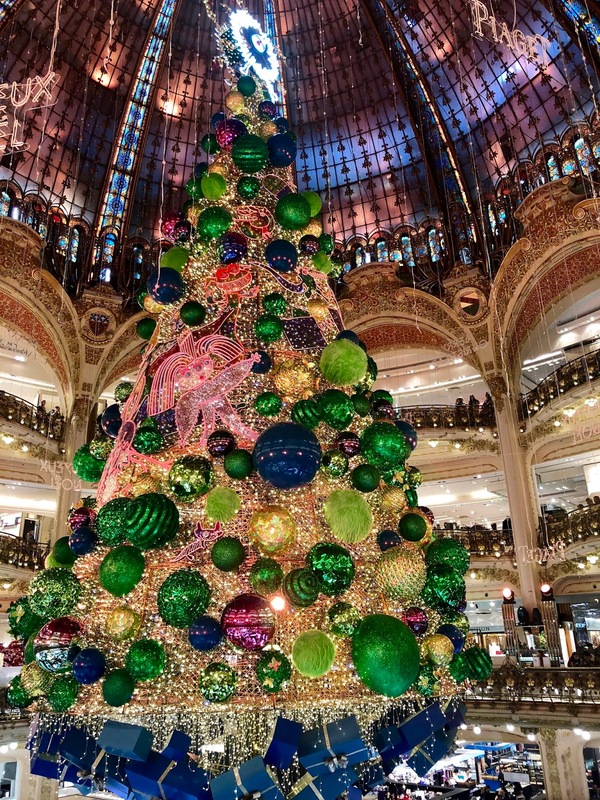 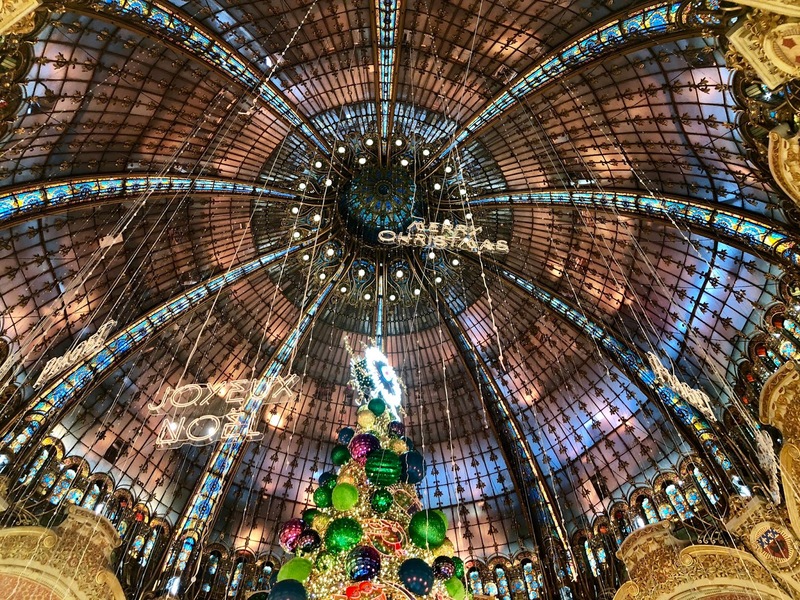 The official inauguration of Galeries Lafayette Christmas installations will be next week, on Wednesday November 7th, 2018 but the majestic Christmas tree is already standing in the heart of the department store. This year, the tree is rather classical with beautiful green baubles and navy blue gift boxes underneath but it's very pretty. 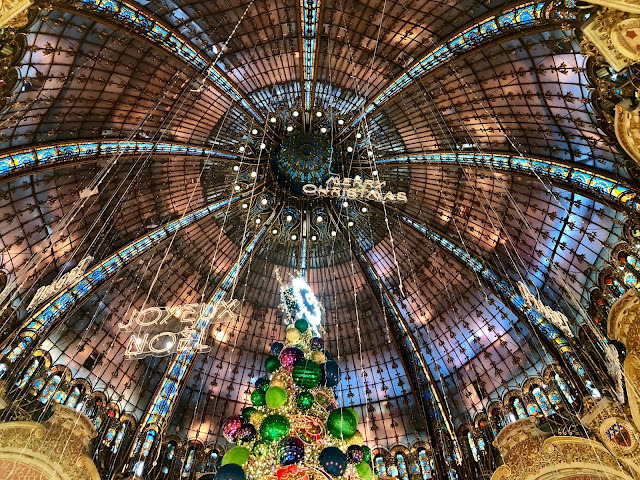 Each year, it's an enchantment to discover this tree which is more than 20 meters high. 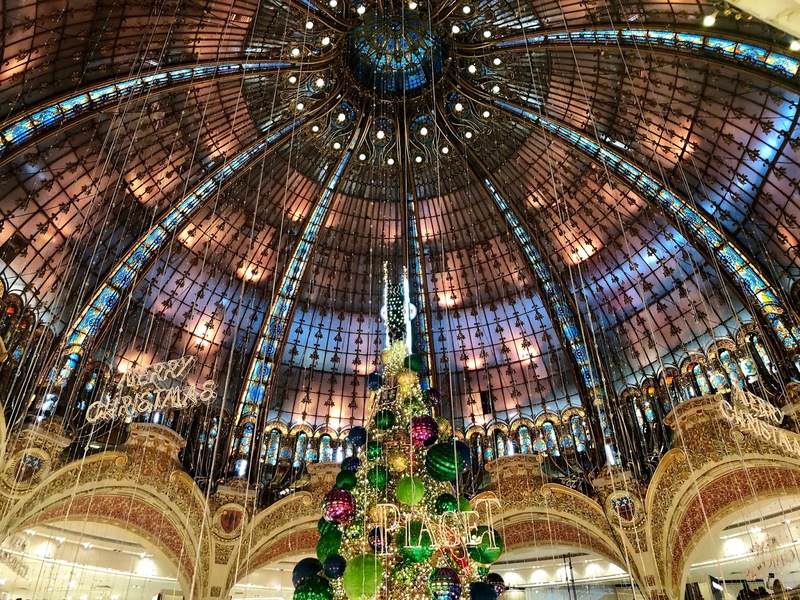 And if you want to make the most of it, go and enjoy a nice cup of coffee at "Le Bar", a coffee shop on the first floor (there is another one on the second floor) overlooking the magnificent glassed dome and the Christmas tree.